Found 9 file extension associations related to VariCAD and 2 file formats developed specifically for use with VariCAD. VariCAD is a 3D/2D CAD system for mechanical engineering. 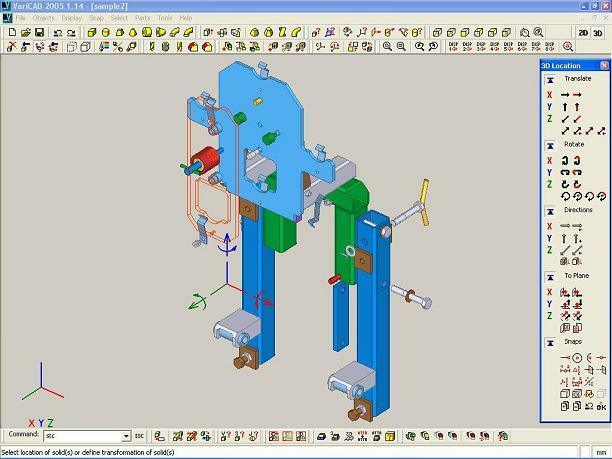 In addition to standard tools for 3D modeling and 2D drafting, the CAD system provides support for parameters and geometric constraints, tools for shells, pipelines, sheet metal unbending and crash tests, assembly support, libraries of standard mechanical parts (ANSI, DIN) and symbols, mechanical part calculations and tools for working with bills of materials (BOM) and title blocks. VariCAD supports STEP, STL, IGES, DWG and DXF file formats. If you need more information please contact the developers of VariCAD (VariCAD, s.r.o. ), or check out their product website.